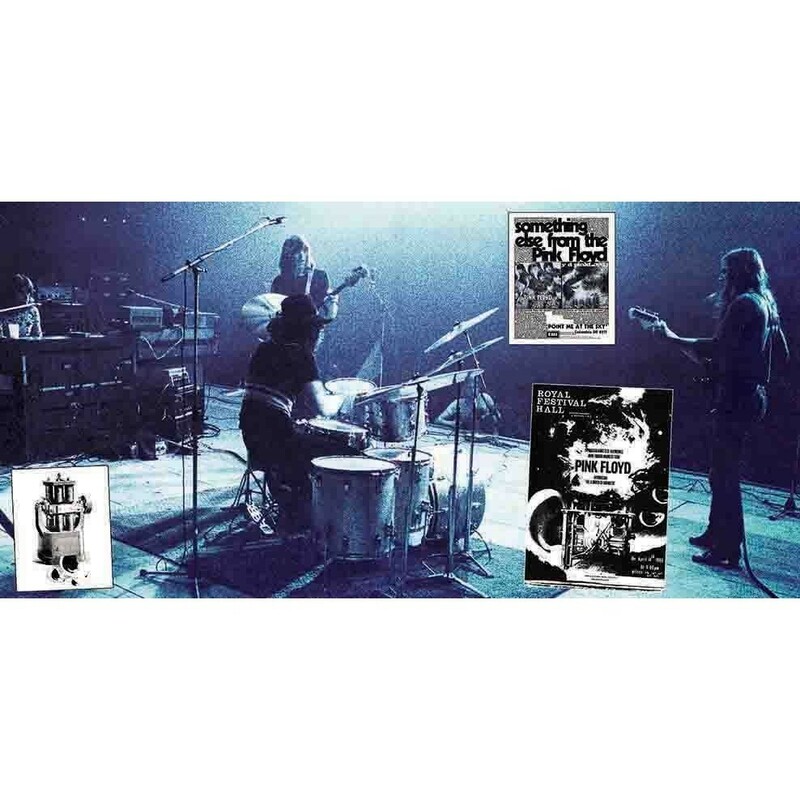 Limited to 500 copies, black vinyl released in beautiful, gatefold, laminated cover with cool and rare pictures of the band. Recorded live at Southampton University, Southampton, England on 9th May 1969. Front cover based on a concert poster originally designed by Hipgnosis for May/June 1969 UK tour. 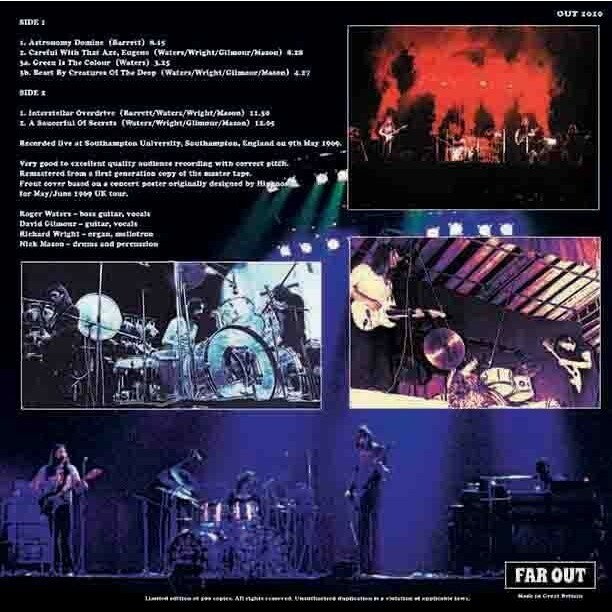 This 49 minute album contains very good (almost excellent) audience recording of truly fantastic full gig recorded during short UK tour - just one week after 'Ummagumma' live set. For many years this material was available in much weaker and much SLOOOWER form - now the pitch/speed were corrected and the sound quality was nicely improved from the first copy of original master tape! 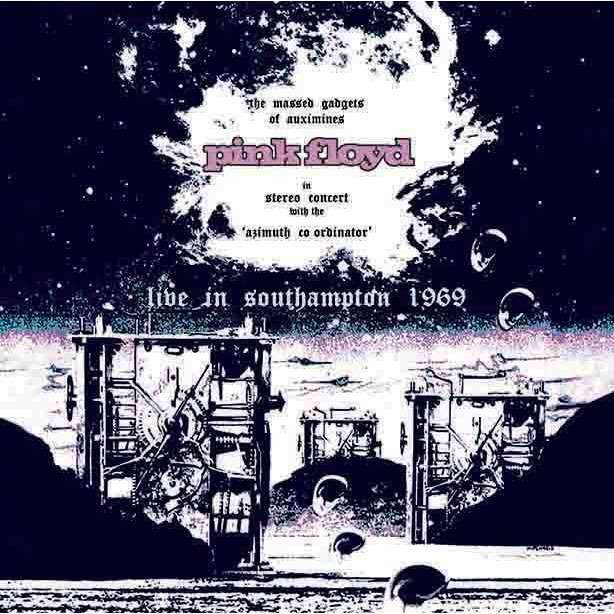 This is best sounded Pink Floyd audience recording from 1969! Very good to excellent quality audience recording with corrected pitch. Remastered from a first generation copy of the master tape.